This is the matinee show. Organize a group now and save 20%. Select your seats online or call the box office, information below. 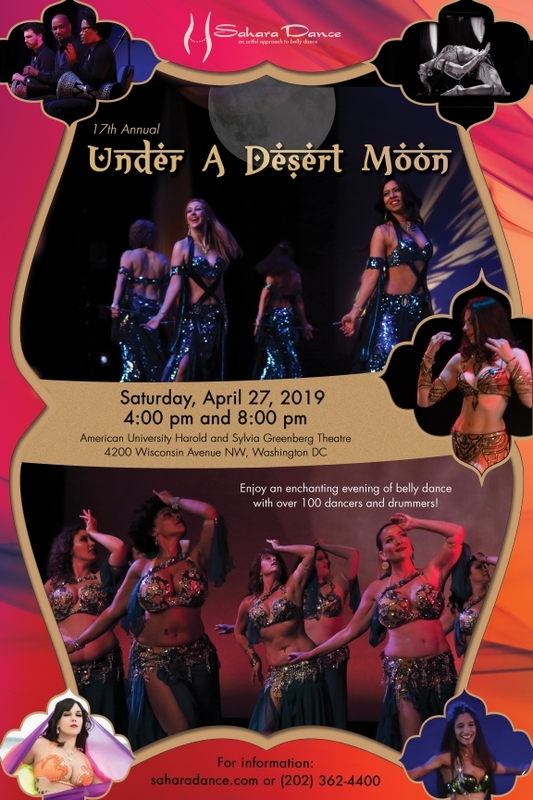 *PLUS*: Redeem your ticket/program after the show for a FREE Intro to Belly Dance lesson on April 29 at 6:30pm! Parking is available in the garage located under the building, off Van Ness St NW, across from the McDonald's restaurant. Rates are $5.50 per hours, $13 per day, M-F, 7am-5pm, and $5.50 on weekends and weekday evenings after 5pm. It is recommended to purchase tickets in advance. Some performances sell out quickly.